Horizontal vacuum water quenching furnace is mainly used for the solid solution treatment of titanium alloy, such as TC4, TC16, TC18 and other materials, beryllium bronze solution treatment; Nickel base, cobalt high elastic alloy 3j1,3 j21,3 J53 solution treatment; Materials 17-4ph nuclear industry, 410 stainless steel solid solution treatment. 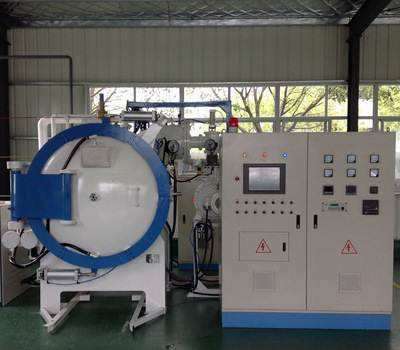 Technical characteristics of horizontal vacuum water quenching furnace. The heating element adopts the non-ceramic chip support technology, and the insulation performance should not be reduced for five years. The inner material car adopts the integral telescopic structure, which has superposition, frequency conversion, speed adjustment, stable material delivery, fast speed of “full speed” and short running time. The products with the same specifications have large bearing capacity and high efficiency. Cooling box 5 ~ 10 temperature. Horizontal vacuum water quenching furnace configuration selection. How to open the door: online, offline and vertical. Intermediate popular: mechanical transmission, start. Furnace: nickel-chromium alloy with heating element and stainless steel mesh composite structure, molybdenum heating element and full metal thermal shield composite structure. Vacuum pump and vacuum gauge: imported, high-quality domestic. Vacuum: high vacuum, medium vacuum. Programmable controller: Siemens, omron, mitsubishi. Temperature control instruments: Japanese island power supply, British mainland, honeywell, USA. Man-machine interface: analog screen, computer touch screen. Electrical components: high quality household, Schneider, Siemens.